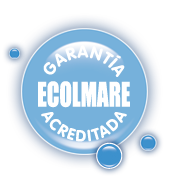 Ecolmare is a service company specialising in the cleaning of port, coastal and continental waters. Our aim is to minimise the impact of contaminating agents and to aid the efforts of public administrations in eliminating them. We offer global solutions through our fleet of ships and a team of top specialist professionals, disposing of human and material resources distributed throughout the country.